Annikah VA is a beautiful, stretchy filly with wonderful carriage. 16H tall as a 3 year old. She has a beautiful face, extreme neck and great body. It is no surprise – her dam BHF Anna Tevkah (Bey Shah x Tevkah) is the dam of Anna Marie BHF (by Marwan Al Shaqab) owned by HE Sheikh Khalid bin Abdulla Al Khalifa. Anna Marie BHF is a multi-champion halter mare in 2016 she was the US Youth National champion. In 2012 she was the US National Champion Mare AAO, in 2011 she was US Reserve Ch. 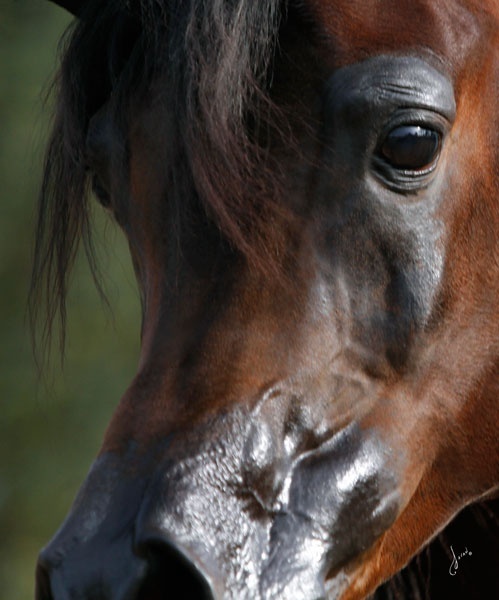 Mare aged 4-5 and US Reserve Champion mare AAO. She is also the dam of Firestorm BHF (by Falcon BHF) – 2007 US National Champion futurity gelding in hand and the dam of Righteous BHF (by Falcon BHF) the 2016 US National Reserve Champion gelding in hand AAOTH & 2011 US National Champion Arabian Futurity gelding in hand. 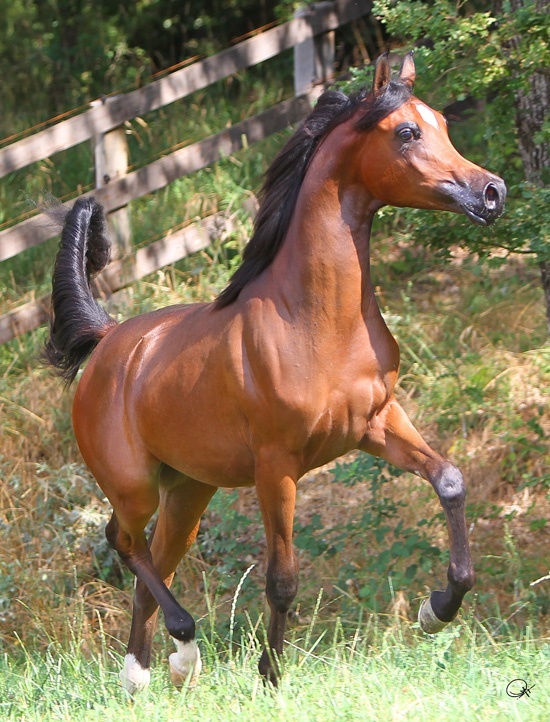 PA Gazsi is by Gazal Al Shaqab and out of the beautiful Fame VF+ daughter Memphis NA. PA Gazsi is a ¾ brother to Marwan Al Shaqab. This is a fabulous show filly and incredible future broodmare. 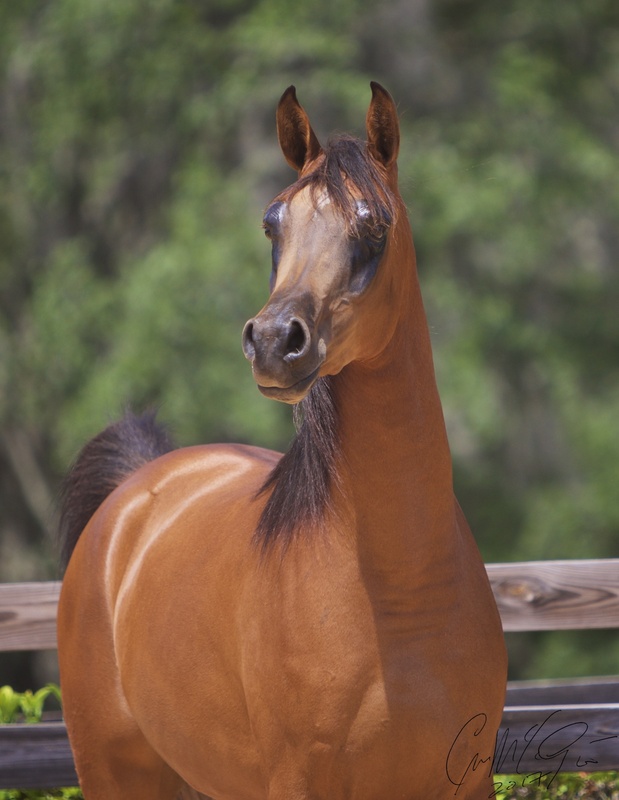 Enrolled in the following programs: US Halter Futurity, Region 12 Spotlight (auction breeding), Scottsdale Signature.